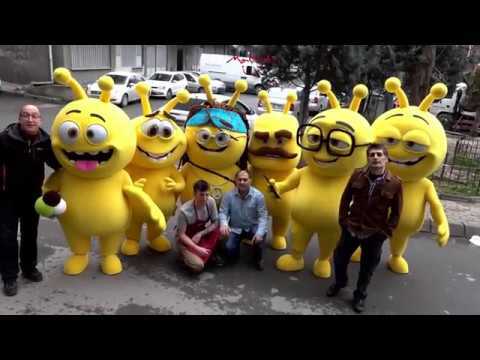 Emocan mascots are actively used hard working ones on activies! In spite of huge heads in proportion to bodies, have a great agility in action while mono block structure is not an obstacle that prevents them from running. Big eyes and teeth are vacuum pressed.